NOTE: Skip steps 1-3 below if you’re using pre-made embroidery patches. Lay out your fabric and decide which sections of the embroidery to use. Carefully cut around the edges of your embroidery. Leave a little allowance around the edge even if it frays. Steam your fabric if necessary so that it will lay flat. It will make it easier to cut and will ultimately stick down more smoothly as well. 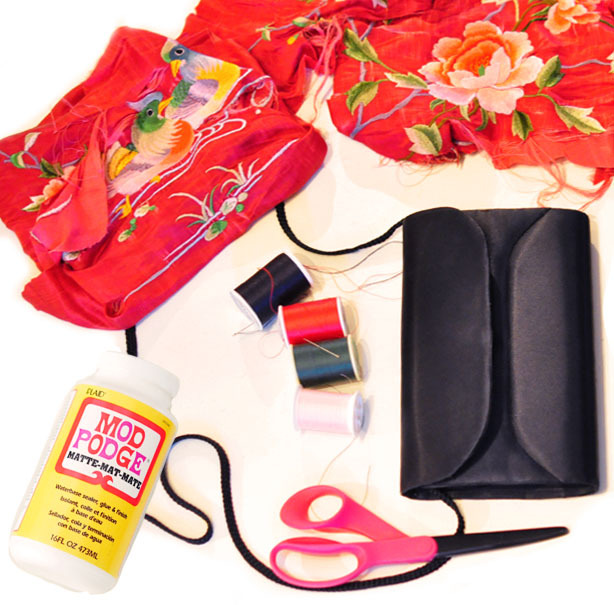 Test out the appliques on your bag and decide where to place them. 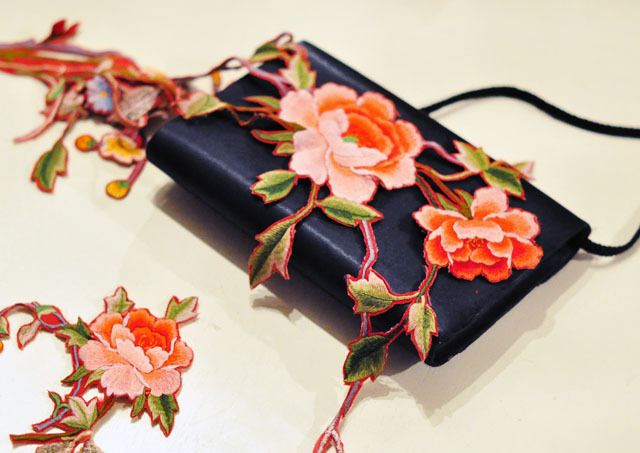 Apply glue to the back of the embroidery pieces and place it on your bag in the desired places and set to dry. Use books to hold it in place if it’s a little slipy.